Drums are methodical, musical, and magical. There are so many incredible things a musician can do with drums. That musician may set the beat for an entire parade; he may shake up the party with an epic solo. 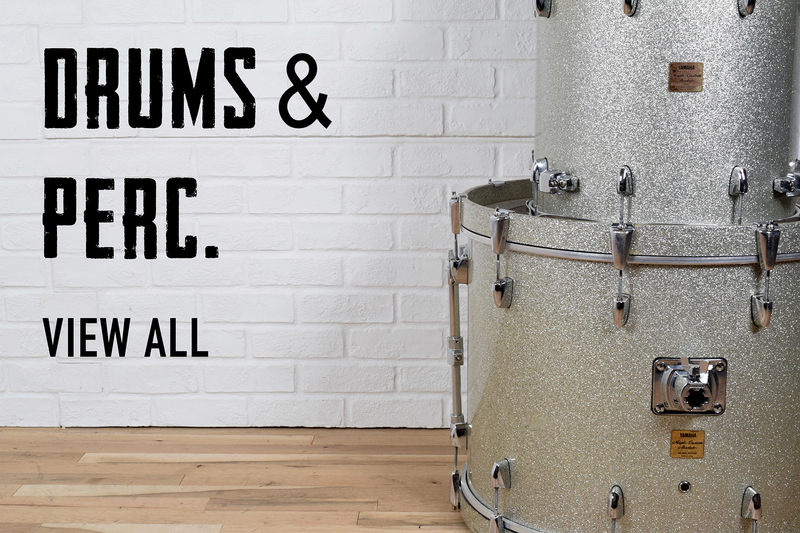 The possibilities are endless, and when you purchase used drums and equipment from Nashville Gear Factory, you’re joining a community of collectors and avid musicians who appreciate the quality of vintage pieces. There are many high-end used drum sets for sale in this Nashville Gear Factory collection. The sets are in excellent, awesome, and mint condition. Keep things simple by adding an incredible used snare drum to your collection. These classic snares can’t be beat… except, literally, that’s what they do best. Add the captivating clash of cymbals to your drum collection with the purchase of these used and vintage cymbals. Ensure everything stays together with used drum hardware, such as drum rack systems or snare stands. Move your beat into the 21st century with high-tech and high-quality used electronic drum sets. From the Yamaha DTX sets to Roland V-drums, you’ll be ready to electronically rock in no time. Do you have any of these items in your own collection that you would like to pass on to the next musician? We’ll buy them from you. Connect with us online to sell us your used drums. Then, shop around to find something that can carry the beat as you move forward.